This stunning Forest Walk collection by independent Aussie designer Amber Barker is influenced by fresh and light wedding invitation set. natural shades of green watercolour fern leaves married with an elegant script font and would be great for those planning a rustic ceremony. 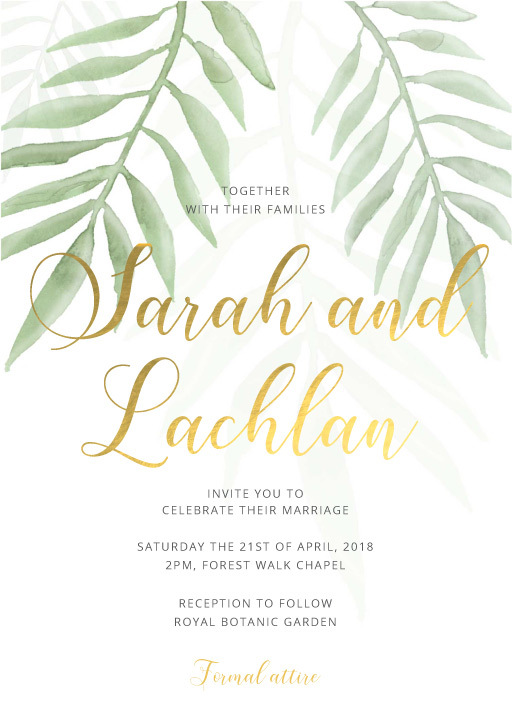 The Wedding Invitations card from the sophisticated Forest Walk collection looks stunning when printed using Metallic and here at Paperlust we think it looks best on Paperlust 300 GSM Matte.